Content creation and content marketing are an integral part of any online marketing campaign, more commonly known as inbound marketing these days; this is not an area of your marketing that you want to cut corners with. You’ll need a regular supply of fresh, quality content to attract readers to your social media hub, your website and then to keep them coming back again and again. I’ve written for clients, been a featured writer for a number of publications across the web, and of course for my own business, so I am well positioned to help you to create a content marketing strategy with a plan to rollout that meets your business goals. If you have the strategy and plan already sorted out, I have a variety of content creation packages that include: single posts, sales copy, and/or blog content to assist you in increasing your online brand awareness. You obviously value the concept and benefits of inbound marketing, or attraction marketing. A consistently updated blog solidifies your authority in your niche and attracts your ideal client to you and your business. An active blog also keeps you current in the search rankings — Perhaps ahead of your competition! 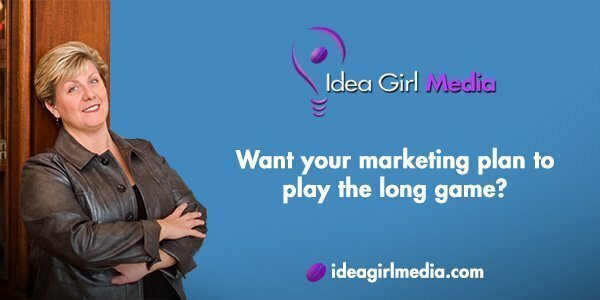 Idea Girl Media will create compelling content that is rich in your niche’s key words, and that will provide resource for your target market. Such blog posts can be re-purposed and presented on your social networks for the long term. Evergreen, up to the moment, or updates about your brand. Together, we’ll formulate your customized content strategy and editorial calendar. Multiple blog posts ranging from 300-2000 words. Utilization of audio and video. Formatting text to optimize for search engines and mobile. Corresponding links to referenced resources within text. Promotion on your social platforms over a period of days. Integration into your long-term content bank. Collaboration with other sources to boost and amplify your message. More time should be spent marketing your content than in creation, though both parts of the process are important! Do you have an online presence and the desire to take your business or non-profit to the next level? Are you ready to ramp-up your online marketing and social networking efforts, but wish for a helping hand and knowledgeable support? First we’ll brainstorm and identify optimal key words. Then we’ll create your content calendars and action plans. We’ll follow up to see how you’re doing and suggest edits as appropriate. This is a single article, but more in-depth, together with the extracts and status updates that you’ll need for content marketing via email, LinkedIn, Twitter, Facebook and Google+, etc. Summary Lead (to copy & paste into email platform & Online Communities). 10 tweets – varied wording, text only. 3 status updates – To be used on Facebook, LinkedIn & Google+. Optimized with your key words. A single blog post tailored to your audience on the topic of your choice. I can either write about a specific subject within that topic or come up with a couple of ideas for you to choose from. The price includes two rounds of revisions. 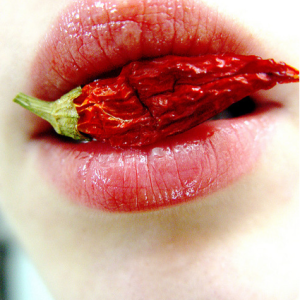 Blog post up to 500 words. 1-2 links to corresponding references within post. Statistics show that consumers research online before making a purchase – and they reference reviews posted by their peers! Provide your potential customers with details they want and need, and promote your business at the same time. Evaluation of provided product or service. Written report in customer-friendly terms; Blog-post ready if desired. “Secret-shopper” service, and video testimonial. Cross promotion with Idea Girl Media’s social network followings. Client provides access to product or service. If you were led to this page from the About Me or 12.5 Reasons page, and are ready to learn more about how we might work together, I would smile and encourage you to click the “contact” button above so we can talk optimistically about next steps.